Episode 55 : Reversing MYSTERY ILLNESSES and creating a NON-TOXIC environment. 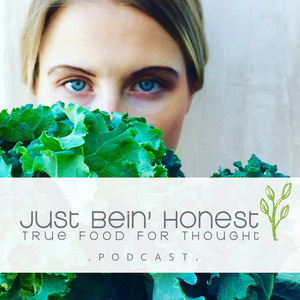 On this Episode, number 55, of the “Just Bein’ Honest Podcast”, Two of the Co-Founders of Branch Basics, Allison Evans and Kelly Love, share their true stories of wellness successes and saving graces. After meeting and becoming quite close in the college years, Kelly saw how Allison was struggling physically with her mobility and overall health, femininely speaking. Allison raised her hand at conventional drugs and went to her aunt Marilee, a Dietary and Environmental Consultant, for help. Marilee, herself, had most recently avoided dialysis and a kidney transplant though a change in diet by using “FOOD AS MEDICINE”. She saw how the choices we make each day, such as the food we eat, can literally change the course of our life. Allison took on to this and retreated under her aunt’s supervision - cleansing her body naturally from all surrounding pesticides and harmful environmental toxins she was used to. After the mental and physical break, Allison’s new test results showed that she had reversed an extreme case of PCOS. OH and after doctors told her she was to never conceive naturally - Allison and her husband now have two naturally conceived little ones! Kelly and Allison - whom later both went back to the Hill Country after college - were SO intrigued by this natural healing process by simply “CLEANING HOUSE”, that they decided to spread the word and create BRANCH BASICS - Their star product “The Concentrate” is a powerful, multi-purpose cleaning solution used to make All-Purpose Cleaner, Streak-Free Cleaner, Bathroom Cleaner, and Foaming Wash (for hand and body) when diluted with water. It’s also great for washing laundry! I’ve tried it on everything. It REALLY WORKS ! ! ! KB Approved. Through the POWER OF PURE, these ladies are making strides in cleaning up your life. I hope you enjoy this entire episode as I don’t want to give too much away. This is an episode that can truly save your life.